Last week Tony and Marina Pezzi, having just celebrated their 50th anniversary, stopped by Our Lady of Wisdom with family to see the Chapel where they had been married on June 18th, 1966. 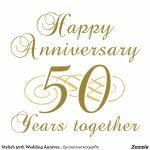 Congratulations Tony and Marina on your 50th! Join Fr. Nathan on a Catholic Alpine Pilgrimage! No 9:30 AM Mass on Sunday, August 21st! 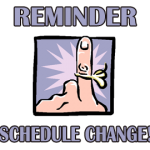 Due to students moving in the residence halls on either side of the church, there will be no 9:30am Mass on Sunday, August 21st. Masses for this weekend will be: 5:00pm Saturday, August 20th 6:30pm on Sunday, August 21st. Did you know that 5% of your Amazon purchase can be donated to Our Lady of Wisdom just by logging onto http://smile.amazon.com when placing your order and selecting us as your charity of choice? Purchase school supplies from AmazonSmile and donate to OLW today! Due to the Hot August Nights Parade on Sunday, August 7th, there will be no 9:30am Mass. Join us on Saturday, August 6th at 4:00pm for Mass with Fr. George Wolf as our celebrant! Join the Knights of Columbus as they honor Our Lady of Guadalupe with the Silver Rose. The rose has been on pilgrimage through Canada and United States on its way to Mexico. This is the first time to rose has been in Nevada. Join us for the presentation ceremony and prayer Friday, August 5th at 6:00pm.